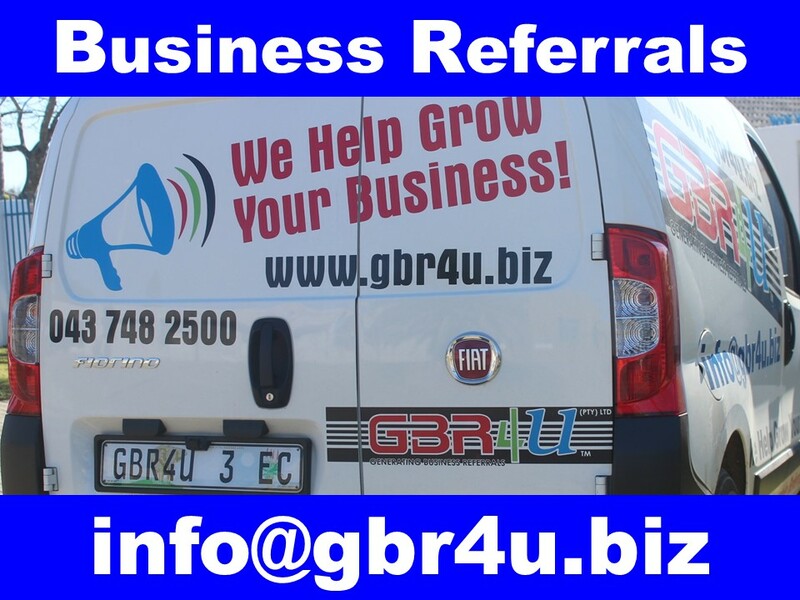 We are a Registered South African Company, with our Head Office in East London, Eastern Cape, South Africa. We are proud members of the Border Kei Chamber of Business. 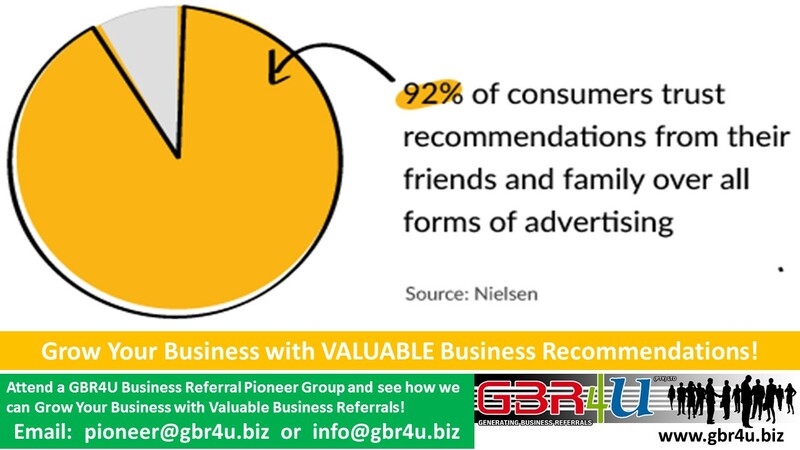 Being Locally Based makes us affordable and we believe in "Local Is Lekker!" 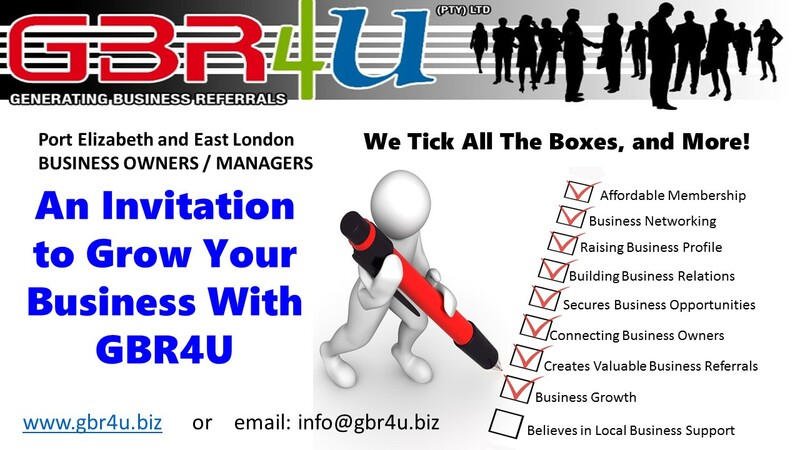 GBR4U is an acronym for Generating Business Referrals for You. 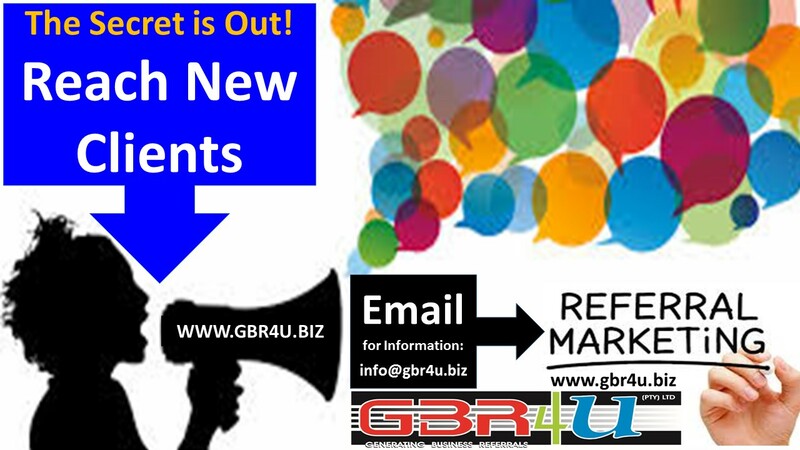 "We Help Grow Your Business"